Back when my children were little, I can remember visiting the grand parents and having to spread a blanket on the floor for them to play on. Now that I think about it, I am not really sure why we did that except that my mom didn't want the little ones on the floor. Yes, before you ask, this was before the time we tossed the play pen or portable crib in the trunk! Now that I am a granma, I have all the goodies needed to keep my sweet little crew members including several squishy mats. Have you heard about these neat mats? 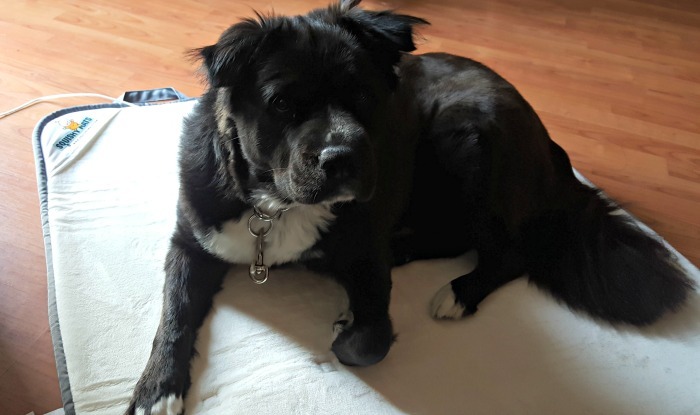 While I am sure they were invented by a mommy for her little one to be able to play and have a little protection during those infant tumble months, my crew fell in love with them...and I don't mean just the babies! 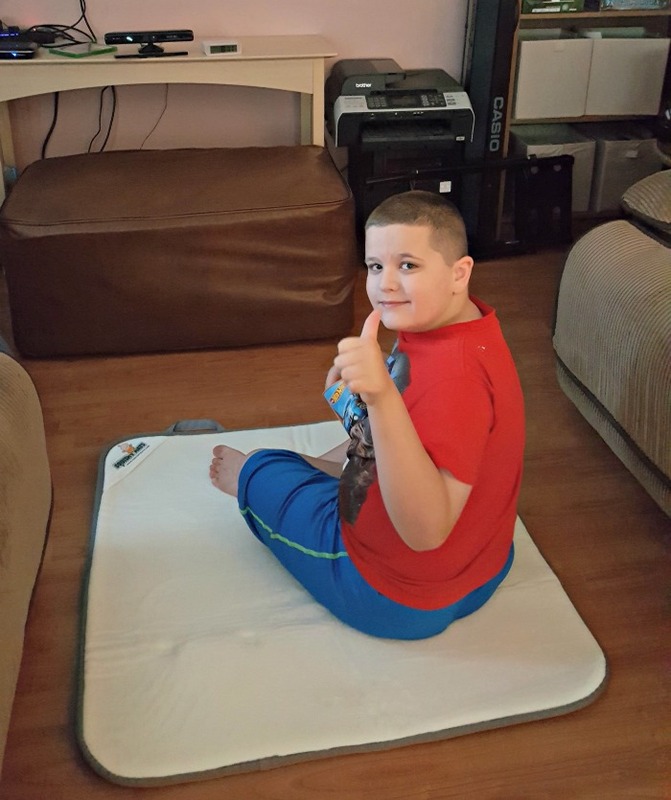 Our tween likes to sit on one while playing video games because the floor is wood and the squishy mat..well is according to him "squishy". Enough said. Our little ones enjoy the mats when we are outside in the yard. It keeps the grass from tickling them. 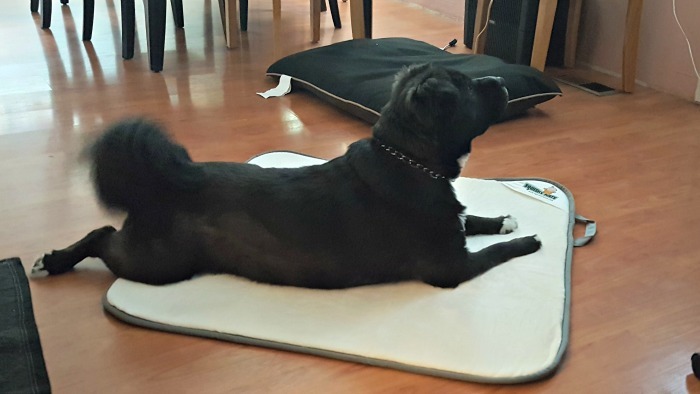 Our dog Ms. Maya likes her mat much better than her bed or kennel. She even moves her mat to her kennel when she thinks no one is watching. 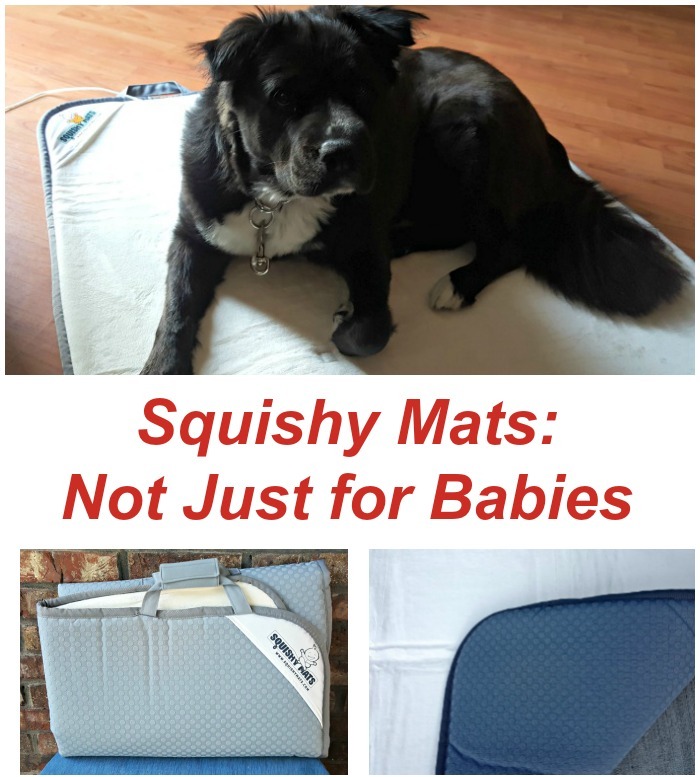 If you aren't familiar with Squishy Mats think of them as a padded travel mat that has a nonslip side which protects against dampness too and a super soft, make you want to snuggle up in it side. Seriously, the micro-flannel side is so soft you can't help bug hug it. I want a pillow case made out of this material! 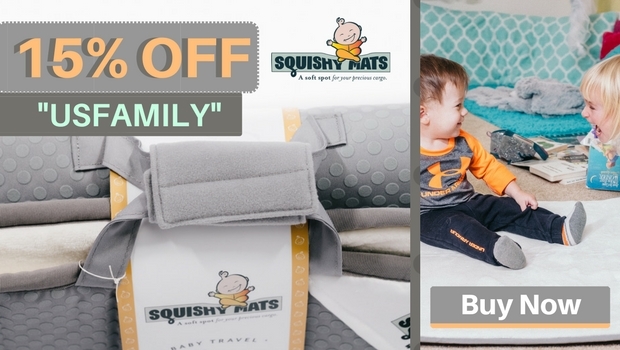 [Tweet "Save 15% Off with code "USFAMILY" on all sized Squishy Mats. 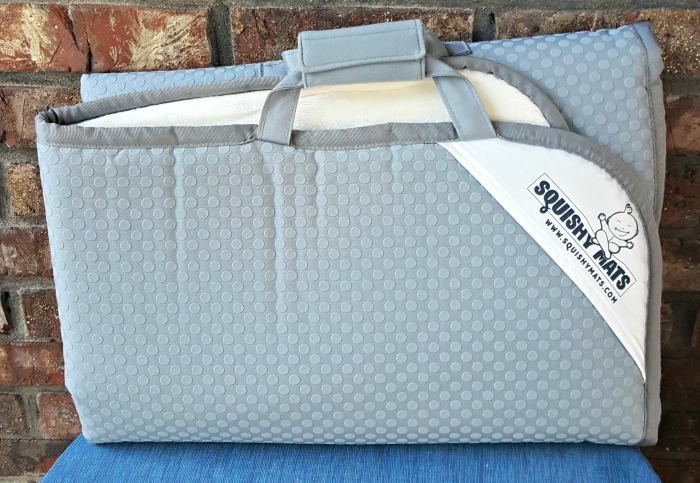 The world's first baby memory foam mat https://www.squishymats.com . 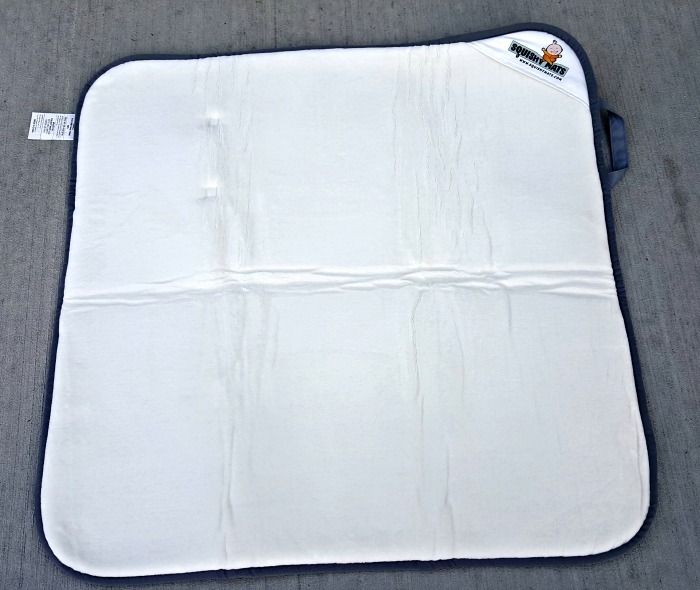 @usfg"] The mats come in three (3) different sizes. We have a couple of the "play mats" which are three (3) feet squared. 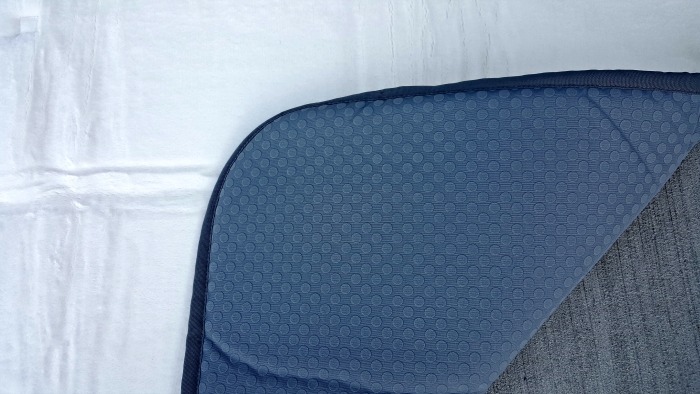 The mat also has a sewn on handle for easy carrying or attaching to your diaper bag or stroller. Sitting on the floor gets uncomfortable for anyone! These soft spots encourage parents, grand-parents and caregivers to linger at eye level with little ones, and make a nice buffer between all bottoms and the hard floor or ground. 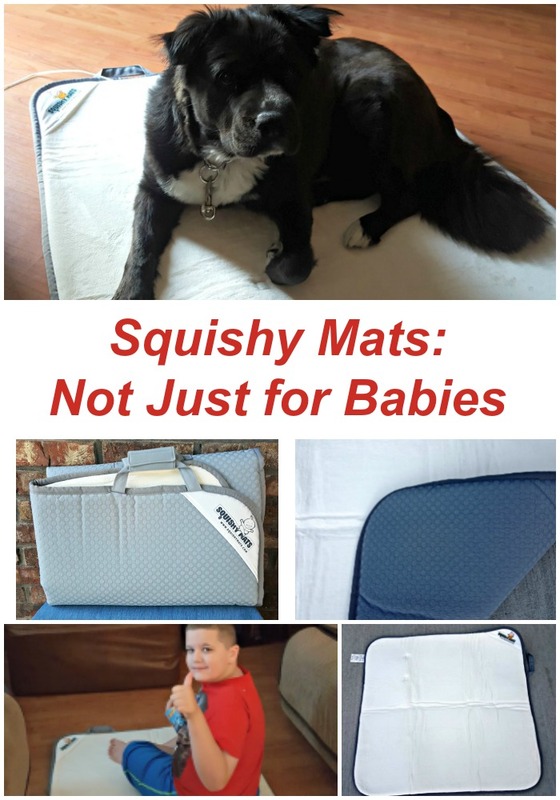 Take a Squishy Mats to an outdoor concert, baby yoga or your older kids' sporting events, and the whole family can gather there in comfort.